Amazon has got the Anova Culinary Bluetooth Precision Cooker priced down to $89.00 with free Prime shipping. I don't know how long this deal will last. It's $10 better than last year's Prime Day price (which is when I bought mine). 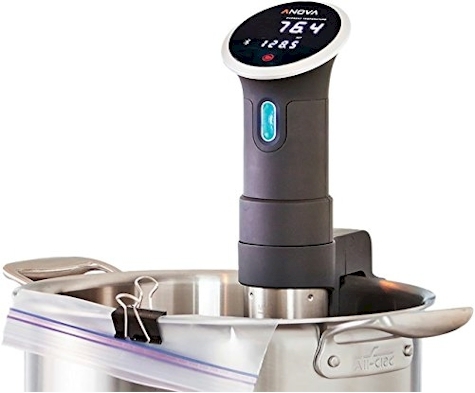 If you've been waiting to join the Sous Vide craze, this is a perfect opportunity, because the price won't go much lower than this any time soon, and Anova is rated as one of the best Sous Vide cookers in the industry. It got 4.2 out of 5 stars over 3,996 customer reviews and is an "Amazon's Choice" item.